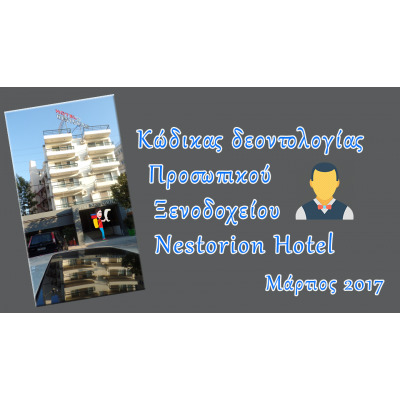 The hotel Nestorion Hotel, governed by rules, regulations, internal and external are generally applicable to hotels, tourism and hospitality businesses. Here are general guidelines - liabilities are obliged to respect and obey, and references to statutory decrees and regulations staff and hotel guests. The hotel art and behavior is a constantly evolving thesis on professional hosting services. It does not stop, but in line with the development of hotels operating tools, new technology, culture and expansion of traffic of visitors to our country from all over the world. The online tools, marketing and social media have added countless visitors a hotel approximation techniques. This new reality has increased the obligations of officials, servers, vendors and requires a tremendous networking to every informational, cognitive direction, online and printed information that would be frivolous to ignore anyone and may simply dry notification of a guidance manual and prompts without the continuous enrichment and interconnection with the foregoing. The following reference standards can be a continuous learning and improving learning reflection behavior through their presentation by experienced managers, professionals of hotel space and enrichment even in correction of any funds exaggerate or even err. So it is not divine law. Below you will find behaviors modules such as the author imagined but not collected and composed of other hotel experiences or writings branded hotel educational community of writers. The daily contact with the visitor in special weather conditions, heat, moisture, sun, as well as hygiene and professionalism require flawless appearance. Clean and crisp uniforms or work clothes which has approved the management of the hotel and are within the spirit of enterprise and hospitality. Clean and polished shoes, not fancy socks and typically not white. Shaven and if flying beard to be tidy. Light cologne for underarms or body. It is not recommended to carry earring during the shift. They may not bear rings, chains, chains and jewelry. Clean and ironed uniforms, or clothes which has approved the management of the hotel and are within the spirit of enterprise and hospitality. Clean and polished shoes, no heels. Soft fragrance for underarms and not generally intense aromas for the body. We are cordial, polite and considerate guests. We pay much attention in tact. Not sit at the same table with the guest in the room the morning, the lobby, the coffee bar or elsewhere. We greet all customers and their addresses with their surname. We do not offer (Cairns, or give a discount on the room rate) arbitrarily visitors without the consent of the hotel management. During working hours there are discussing endlessly with the visitor. always think that the guest can need help, guidance, recommendations, guidelines. Not forgetting that the visitor is the main reason for our presence at the hotel. We understand the importance and value of responsible position that has awarded us the Address Hotel and critical gaze during job execution. Visitors can count on us during the stay will receive our best services and our all-round interest, without going into personal affairs. If our guests require something out of hours or duties and may not realize we are trying to be toulopoiisoume. On the premises of the morning or Drinks and where there is unclean utensil remove. If dishes in dishwashing area, if cups glasses behind the counter of the bar. We indicate the fault book damage. If something urgent to say to management orally or by telephone. We make all possible savings in electricity, lights, iron, electric utensils. The / the worker / the need to feel comfortable in the place of work and his movements should be characterized by discretion and tact. Not consume alcohol during the work. Alertness that its presence in the hotel segments in non working hours to be discreet. Smoking in all areas of the hotel is not allowed. Strictly adhered to the law in the State for guests and employees. On leaving the work shift is not allowed to bring along the hotel's food, clothing or anything else that belongs to the hotel, without the prior permission of the management. Employees use rooms and bathrooms of the hotel staff and not the guests. constantly check their jurisdiction areas and intervene in cleanliness issues directly. For the cleaners have to notify and sign the special cleaning sheet of toilet guest hotel located in the utility room leading to the stairs across from Reception. They lay their belongings, bags and clothes in the designated staff areas and not in public areas. The hotel staff when entering the room or leaving it greets visitors or colleagues. It appears ten minutes (10) before the start of the shift. Do not arbitrarily break, without consultation with the hotel management. Leaving the shift of where has completed all work in progress. After the shift to inform the colleague for urgent matters relating to work and guest needs, and record and minor in logbook , the hotel's reception. willingly performs the instructions of the hotel management which move within reasonable general industrial and professional practices or special nature of this hotel. Submit comments, improvements, innovations related to the subject of his work. Showing solidarity and a spirit of cooperation with hotel colleagues on issues envisaged in Job Description , working post. Gives signal to / on colleagues he can count on each other. Leaves of personal and family matters outside the enterprise straight with the start of the shift. Neither for the hotelier or customers. Talk about professional issues with colleagues quickly and discreetly not at the expense of customer service time. Not shout and forth to customers, or in the absence thereof. " The walls have ears in the hotels ' as we say. In a crisis owing to internal or external causes show calm and follow the specific directions has indicated verbally or in writing (*) Address of the hotel. If your customers seem absurd not look that bothered personally when you can not meet them. Ask discreetly to force top management eg to solve. Takes part in meetings of the Personnel Department or individual syntantiseis cooperation. For non-catalog products (other hotel services) not to mention the excuse "the Address prohibited" or something similar but further explore the visitor's needs and try to meet the minimum humanly. 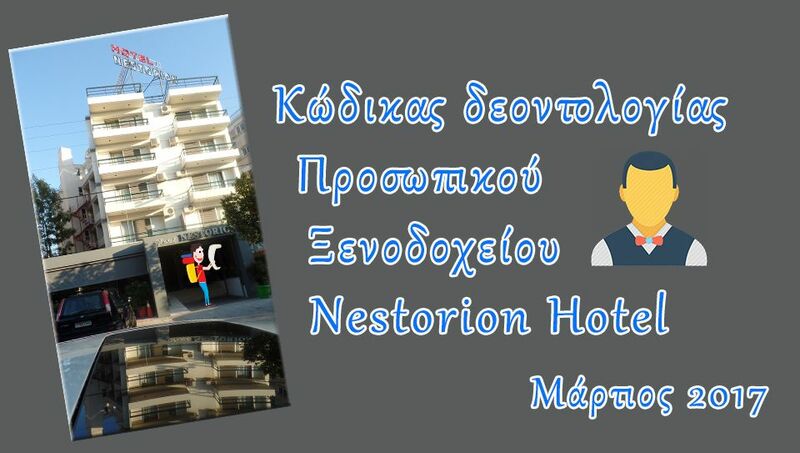 The snack consumption is allowed only in predetermined area set by the management of the hotel, eg a table at the back of the dining room for direct contact staff with the guests, and in paraskefastiriou for indirect contact staff hours after the service or designated by Address. The staff takes care of the collection of all kinds litter producing the same. The staff enjoys the coffee during the break where the Directorate states. The alliloexypiretisi or self from the bar done in moderation and discretion. Safety and hygiene are always on the mind of the workers and observed strictly. We respect the general ecological rules of the state and adjust them without our say no to the business conditions. Example. Create a plastic trash, glass, paper, aluminum, etc. and another a general litter and place them at the collection points, floors, bars, and paraskefastiriou morning. Then we place the content in the general waste bins mentioned above too, and then transfer the content of these separately in special bins Municipality garbage outside the hotel. This practice is mandatory. Employees manage with the utmost economy, the limits of the power conferred by the company maximum quality and economy to do their job. Ie electricity, gas, cleaning chemicals, raw materials washing utensils, clothes, equipment, materials and facilities. Deal with all possible care and safety and in accordance with the technical guidance the repairs, equipment, lights, etc. The staff must be managed in the most economical way of food raw material, be careful dates of use and end food, inform the special tags with dates, content and other useful information on them, to ensure consumer information and safety as well as the smooth delivery of consumer goods from shift to shift. 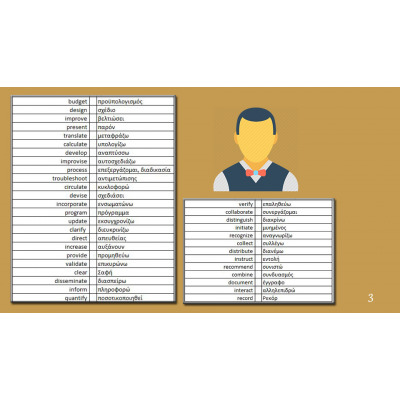 The first role belongs to the hotelier or General Manager or Director or Manager or Manager who also states in his opinion and general institutional regulations, business rules, roles or mixture of roles for each employee, employee or worker, supervisor or supervisor on site. It is the discretion to change their roles or their contents whenever he deems appropriate. It is the discretion to intervene unless the principles the company has been set during the execution of the duties of subordinates. It is at the beginning of the general management of the business to be given the freedom of workers to develop initiatives to subject the support needs of visitors, carrying out on-the cheapest and best of bureaucratic procedures. The objective of the above is the continuous improvement of services to visitors. Serving guests, welcome them, to direct the segments direct hotel service with a view to sale with price lists and line of business services and products. Provides specific oral (briefly) written (special information sheet), local map and hotel card with the details of the newcomers visitors. Receive calls or messages on behalf of guest potentially mediate or serve provides basic information when needed. Receives sorts and turns the daily postal and e-mail. It provides stable quality administrative, secretarial and commercial (sales) operations informed of the overall hosting issues, tourism and hotel rules. Handles mechanical and web tools, reservation platforms, communications (e-mail, fax) booking systems, sosial media and generally responds specifically to modern communications and technology needs. Keeps the shift cashier and pays account replacement and at the end of the day in the Address. Inform bills, checks their correctness, checks for overbooking, classifies debtors, dealing for paying with companies accounts. Prepares breakfast dishes and drinks buffet in the early hours according to the species list and the preparation instructions, recipes of the business. It complements the buffet. Where is the quote space daytime and are not fully committed to the execution of the service good morning newcomers. Derive (removes dirty utensils) areas of parakefastiriou and bar. It serves drinks and coffees from the bar located behind Reception. To ensure proper preparation and provision of smooth check in and check out guests. Displays proven work experience and taking responsibilities of front office aalles businesses. 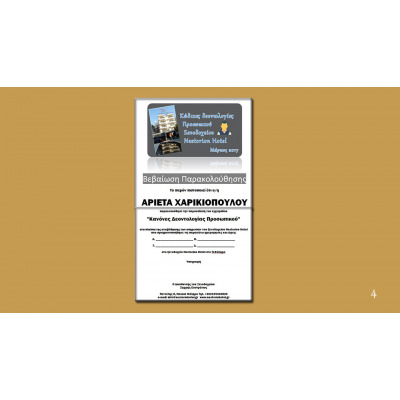 Είναι ικανός / ικανή χειρισμού Microsoft Office, Front Office management Alexandros, Booking Com, Expedia, Reserve on Line, Google Greek Grow Tourism Seminar Platform. 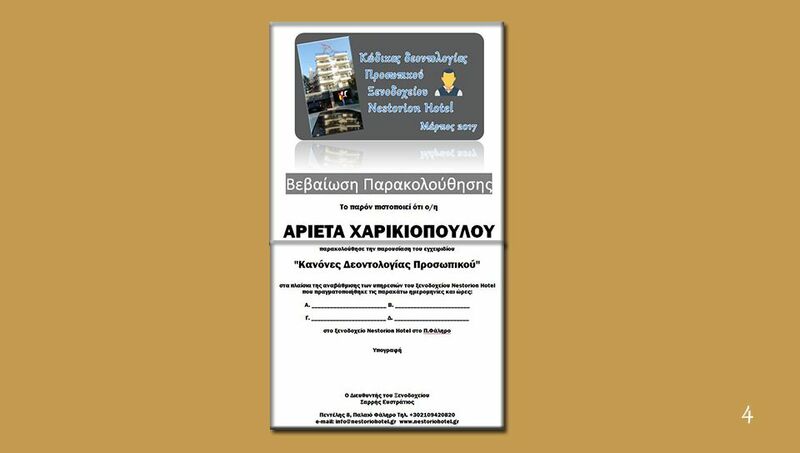 Consult the special documentary program instructions "Alexandros" Reservations, Invoicing, closing M / C.
Mental capacity to tackle critical issues. organizational capacity, multiple response questions, pressurized priority and work demonstration. continuously controls the entry and exit of the hotel. Comply with the specific situations and certified rules of Hygiene and Food Safety and refrigerators kept at reception. Not abandoning his post and constantly engaged with one of the pieces of work assigned. In downtimes performs micro cleanliness salon work, bar, atrium and maintain complete cleanliness and order room that allowed smoking, clean ashtrays, remove dirty dishes, handles TVs in the lounges and rooms where minor problems. Handle night shift work paying special attention to security and privacy issues because night. Obligation to participate in creative discussions, seminars indicating the company integrated voluntarily in free time within the enterprise in addition to incentives working time. Necessary technical hotel school diploma. 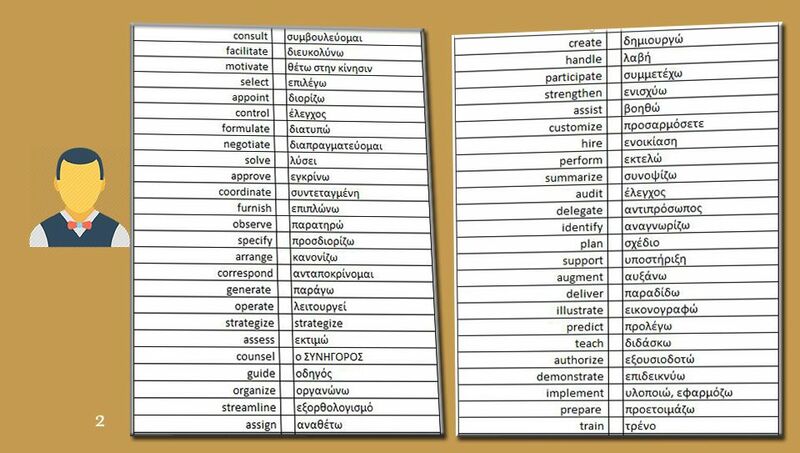 TEST active response to invitations challenges arising from the following table 132 rimaton.To following test is a model in English or Greek language can be applied to indicate any excessive positive or negative communication skills, interpretation, action or reaction in different situations imply specific verbs English and greek. Total responses can elicit an ideal WHILE star rating 132 100 stars to determine marginal and not to promote cooperation. Prove that every day you are able to manage the present and the rooms and services of tomorrow of enterprise product that is the best way to challenge profitability. An official reception coincides with the host or the hotelier and perfectly expresses the spirit and policies and strives to fulfill its objectives. Daily struggles to leave no room unsold, to sell as much as possible at the best price, to yield the value of hotel products to the consumer and to balance perfectly the interests of both. It is what we call value for money. An official reception (salesman / saleswoman) is almost the first person who meets the entrant guest of the hotel and the first responsible interlocutor. Therefore you must have in-depth knowledge of the hotel and be able to sell rooms and services. The connector may thus play an important role (on the spot) in the sales room and the hotel services. To another part of the role belongs to the sales department, for which we'll talk another time. We note here that the loss nights is lost revenue because it has the capacity to be stored as solid products. The main role of the host is then available hotel rooms (sale / disposal). Selling rooms on the spot / done gently through the artful juxtaposition of possible characteristics of different types of rooms to suit the needs of the customer, eg "very nice room" with bath "" with spacious shower "" quiet " , "away from the elevator", the "back", a "more spacious room" "nice decoration", "fruit and water", with late check out, "breakfast". The effort focuses on sell the room in the most proper for the visitor value and that to the maximum for the hotel. Here figures a one room per floor. - Floor and aisle seat and the horizon. At the same time, depending on the visitor should be displayed all the means and areas of the hotel where the visitor will relax and rest. - Delivery (There is a complete proposal in the Reception of the hotel. Please call 153 or go get a proposal, will gladly assist you. The choice of your own directories, call from your mobile own or charge from Reception. - sport centers J, gymnastics, swimming, RC boxing etc. Too many are peculiar expressions that can use anyone to win the customer. It should also possess eloquence, foreign languages, arguments, persuasion, smile and posture to be friendly. Clothes professional. Here are some key phrases, add your own. - I would like to ask you a favor ..
- Wait a minute please ..
- Will you please .. The department of Reception considered the communication, coordination, decision, benchmark and settlement issues of concern to the client. The customer exchanges cash (in advance or in part) with accommodation and services installed in the room and the hotel in general. For what is entitled directly or indirectly verbally informed of the most important and in writing or electronically for details. Then the customer t is ready and according to its needs to utilize some or all. Many times these things and asking the hotel is not obliged to provide even know. These have to refuse politely and artistic way the Concierge. A polite apology is enough sometimes to understand the visitor that what you ask is impossible ... But the experienced hotel employee usually know a lot of "how and what" and serve. As we said above trying everything sold to promote it as the unit to benefit. The Americans say the last square centimeter of the hotel should be exploited. Also be putting into consideration the customer's most critical online information about the hotel. Besides, the hotel actually is a regulation with many useful details about the rights and obligations of visitors and hoteliers. This is essentially an agreement that should be respected. This agreement adds the plus of each hotel and plus that gives the hotel legislation depending on the classification of each hotel and the modernization of legislation and updating due to competition ..
Customers in various ways trying to gain small advantages (and unwittingly). Often there are also complaints about trivial things or whatever. All these minor problems with the official policy of the solve or avoid. We need also a proper preparation long sometimes. We also need proper coordination of internal services Reception hotel - Head - Maid - Preserver - waiter for the proper treatment, the processing or repair or service or cleanliness or additional work to be done. - Good morning sir what can I help you? - Would you mind to enjoy a hot coffee with scones in the cafeteria of the hotel ;. We also have electronic library and internet corner. Within your web browsing in this site you will find detailed information about the hotel and area. We are ready at any time to serve you. - Thanks a lot, I will wait. Success (SUCCESS) was and is wanted in both hotels as workers generally. The success goes through reflection and continuous improvement effort and creativity at work. "Do not be afraid to take responsibility and to try the new. Seize the opportunity. Learn first to be accountable to yourself (self) and then to your superiors. "It helps our self-improvement and easier to correct our mistakes." Permanent pursuit of hotelier is to improve the quality of hotel services. It should solve many problems before, such as the training of staff in technical, behavioral, skills, etc. What we pursue this seminar on "internal sales techniques" different hotel products and services. The pursuit of improvement even slightly is legitimate and very data necessary difficult time passing the hotel industry (as product "luxury" that is not at all cheap. But margins are to get this hotel at a higher service level and (internal ) sales. it is very important that the employee permanently thinking that through the products available to the enterprise and 'free' service will provide the paid value of the client's money in the same, when it comes to hotel to redeem course within the general framework "residence." So has in mind at all times what to directly sell and indirectly eg the employee receiving the playground and the ability of the hotel to refresh or strengthen the morale of the client the "gymnastiriaka" means and possibly the special manual - tips on the subject available. Suggestions So everywhere in every part of every employee at the right time, when the customer is identified not as a victim or as unsuspecting consumer candidate but as a personality Fr. u requires attention and completion of his short life in the hotel 'injections' welfare proagorasmenon not direct perception but also on the spot products that do double good: and to him and to the business. So we go to another activity "medicine" we would say, or "counseling" highly specialized that has to do with fine tastes and special requirements. The tip-sale must be qualified, flexible, alternative rather vague. There are special manuals literally solve the hands of employees. This was highlighted by the trainer that we have to be aware of customer psychology who transmit internal and external experiences of the site for good or bad service etc. Regarding the sale to take place should be first but very quickly a small «marketing» to the customer! Learn about him, to see him, to the rapidly psychologisoume and unfold our tools ie our knowledge, our words, our expressions, our smile, our posture, our written proposals, indirect lure us (a vitrinoula with cheeses and wines next example), our cleanliness, our culture and in general to showcase the best of what we have to sell ... Profit from this process will have the business himself. But the biggest gain will be the customer's satisfaction. The customer's pleasure. The customer ENTHOUSIASMOS. The happy relays eight times the satisfaction of the excited twenty-eight! so to speak ! H has quality requirements. Hates the problems, indifference, negligence, lack of expertise, the murmur etc. 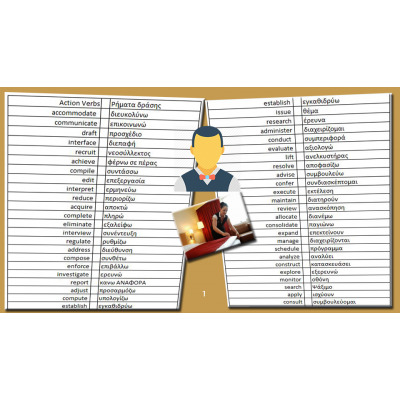 Such as: EXTERNAL CUSTOMER / INTERNAL CLIENT / REGULAR CUSTOMER / SUPPLIER / CUSTOMER OLD / DYSARESTIMENOS / EFCHARISTIMENOS Generally the dissatisfied customer measures the effort made by the employee to serve him. The clerk must serve thinking that care like I was home. So simply and well. He must first feel happy with the service offered. "People make the difference five stars" Great effort must be made to change incorrect behavior. The practitioner is a synonym of the adjective "serious". well done its job and exceeded. The misery and moaning spoils the mood, poisons the working atmosphere. The company through its superiors per portion should go to the standardization of complaint. Recording, study, categorization solutions. Unhelpful procrastination in any sector. Many know almost everything about my job. I know what to sell and how. It is almost impossible not to know to answer. Even if this happens, I take care to know. Care to invest in knowledge. Let's improve our microcosm and through practice. He loves his job and the roles they undertake. He strives for the perfect knows average solutions. He has a passion for quality. Make criticism and learns from his mistakes. Respect the rules of professional ethics. He considers his work as a means of development. It's always ready for action - work - mission (known now its commercial policy is effective). Innovation, patience, perseverance and courage and constant readiness must characterize the employee. The customer greeting and recommendations be made immediately. Listen carefully. We form first impressions. Not expect benefits of serving. Benefit is the customer won. Rudeness, arrogance, extreme caution and the refusal of the presence of man is to serve potential customers behaviors. The kindness and friendliness bend the negative mood of the customer. The confidence building cancels defenses and leads to the acceptance of the professional. An interesting presentation of the product with a suitable reason, posture, gaze and tools moves the customer interest and the avoidance of adverse reactions. GENERAL The questions and INDEFINITE TO AVOID. Prefer closed questions that elicit about. Successful employee A person who knows very well the advantages and value of services offered. Failed employee A person who does not care to know the advantages and superiority of the services offered. The clerk carefully listen to what the customer wants and anticipates to meet its needs. Think positively. We must not offer services "canned" five stars. Successful employees are those who learn to practice the quality of service techniques correctly. Instead losers are those who think they should not be changed to anything. The hotel maids charge combinations maid service, common areas, preparing breakfast buffet and clothes washing. Control the receipt and delivery of hotel linen from abroad laundry. Record deliveries of clean rooms arrivals and customers in a special book. They monitor the stock of raw materials, cleaning materials, and generally of clothing. They said damage and repair small technical problems. Here namely cleaning and turn-down standards of hotel beds according to category. Propose solutions and household cleaning when asked. The education of chambermaids is the responsibility of the Innkeepers. Most of the skills are learned on-the-job peer. Training is informal but meaningful. Their duties include complete work cleaning the rooms assigned to them daily according to the hotel requirements (arrivals - departures - customer) in a certain time to set. Provide constant cleaning, sewer replacement, installation of clean glasses, towels, new sheets, sweeping, mopping, polishing using the skills and tools they have been given. Should clean rugs, carpets, curtains, blankets, kouvrli, make daily dusting and follow the hotel's health and safety standards. They should empty the bins, to launder their ashtrays to replace, remove waste material from the rooms and keep the office tidy and stocked with all the day's ingredients. To qualify as a maid should be reliable, responsible and very dedicated to her work. The hotel maid must know to listen carefully, not to gossip and to follow the instructions of the Directorate. They should be polite and have good interpersonal relationships, collaborate with other staff and customers. They should be informed about the operation of equipment and facilities. The maids must have cleaning skills and pay attention to their personal cleanliness. To show willingness, good mood and positive attitude in the most difficult situations. The maids playing the role of his agent or property manager and generally can be considered tourist consuls of the country. Therefore they must be updated with both the hotel and the region of Athens cultural events and especially eager to communicate as long as knowledge and language allows them. Otherwise refer to the appropriate official. 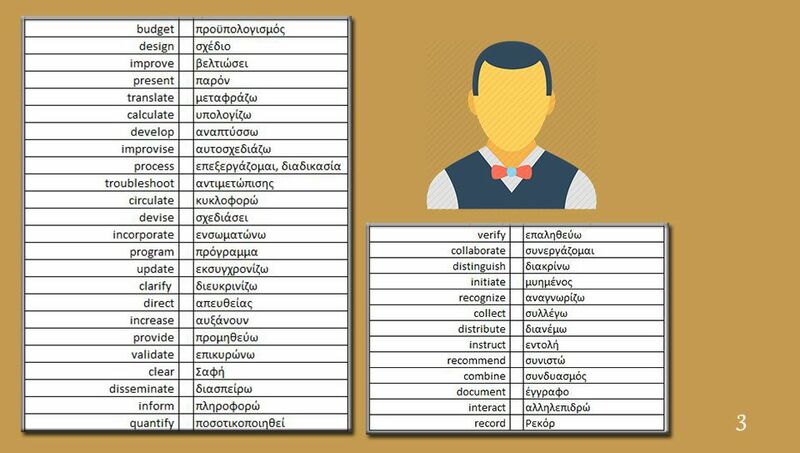 The above draft Code of Conduct or xenodochologias is a dynamic open web tool which is included in the company site and is subject to continuous changes, interface with site, blogs, social media and educational reports to evolving coding, to constantly educate the person to controlled under individual plans his knowledge by a special assessor and the management of the hotel. The above code in conjunction with other online tools, constantly enriched with links, comments, paragraphs and chapters can be the basis of creative proposals, solutions and innovations in the undertaking. H participation of employees in this process can be individually or collectively and in a circular form to ensure by chapter or chapters absolute involvement in reading, discussion and consolidation of the code - course content. Possibly the hotelier can establish better customer awards of the month or something.